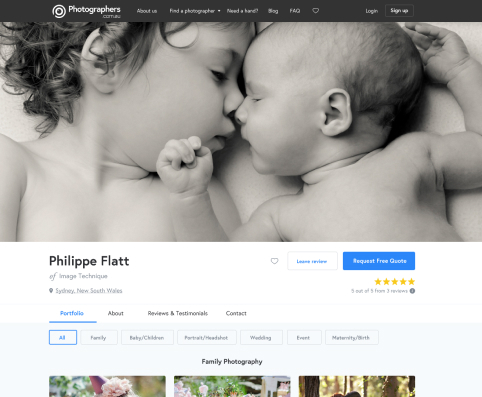 With a free Photographers.com.au profile, photographers can promote their business, showcase their photos, gain access to exclusive analytics, and importantly, receive new quote requests from day one. We are among the fastest growing photography websites, so read below and find out why more and more photographers are signing up every day. 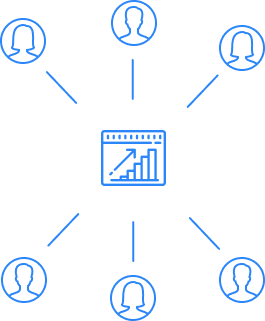 We are experts in driving new clients to your profile. With years of SEO experience in the team, Photographers.com.au consistently appears high up in Google, outranking nearly every other site. This traffic needs a home, and each profile on Photographers.com.au has direct links to your photography website - meaning more eye balls on your site, month after month. One of the best things I've noticed since signing up with Photographers.com.au is the increase in hits I've had to my website. Not only that, but shortly after signing up I booked my first customer! Very happy with the service provided by the team. Keep it up! I've got 2 successful jobs from Photographers.com.au already. I think the site is really good, a great resource for both photographers and potential clients of photographers. For me it has been the only way I have been found on Google since having major issues with my site's SEO so I was happy to see results appearing somewhere. In terms of getting exposure - it doesn't get better than this! I signed up to Photographers.com.au for more exposure and the site didn't disappoint! Working as a real estate photographer it's essential to be able to showcase my work and make it easy for people to find me if they are selling or renting their homes. Photographers.com.au does just that.